​Choosing a free video editor can be a difficult decision, not least because there are so many options available on the market. While I always recommend paying for a pro option if you're serious about your videos - with Screenflow being at the top of my list - there's still a lot you can achieve with freeware editors. This is one of the best free video editors for beginners that we’ve tried. The interface is clean and intuitive, and it’s a great place to start splicing, cutting and filtering. OK, it isn’t exactly packed with features, but that’s actually its strength. If you’ve set yourself a simple video brief, why overcomplicate things? This is a great starter video editor is you’re new to all this, but don’t want to feel talked down to. Openshot is intuitive to use, and you can pick it up really quickly (probably just as well, as it doesn’t have the in-depth tutorials that some of the other editors have). Don’t confuse simple with basic, as it actually has some pretty advanced features, such as unlimited layers, and it’s great for titles. All-rounder Lightworks is a complete video editing package – and even has the Hollywood seal of approval, having been used for editing some of the greats (including Pulp Fiction and The King’s Speech). It’s superb for advanced editors, although its helpful tutorials mean it’s not out of reach of more novice users. It’s free; however there is a subscription version with extra features, such as 4K support for YouTube and Vimeo. There’s an almost mind-blowing amount of free features in this fantastic editor – there are over 180 special effects for a start. If features such as green screen effects keying, audio filters and 3D support aren’t enough, you can pop to the add-on store and pay for a few extras. This pro-level editor may seems a bit much if you’re a beginner with straightforward needs, but if you have time to learn your way around it, it’s worth the effort. If nothing else, sit back and enjoy the fantastic tutorials. Blender began life as 3D animation suite; however, it also has a versatile video editor. It’s not the easiest free video editor around, as rookie users may feel a bit swamped by its many features. But, more confident users will love this about it; and because of its origins, it’s perfect if your video involves animation. This is a free, open-source video editor. Unusually, if offers 4K resolution support without you having to pay an upgrade – a fantastic offer. It has a great range of clear and helpful tutorials; however, it was originally designed for Linux back in 2004, so today’s Mac and Windows users may find the interface a little alien to begin with. We say persevere, for the 4K support if nothing else. If you’re a Windows user in search of a super-easy, free editing tool, try this one. Machete Video Editor Lite is one of the simplest editors we’ve come across, and is ideal for straightforward tasks such as splicing. The downside is that is doesn’t come with audio editing. However, if you’re willing to spend a few dollars on the upgrade, you’ll get this along with a few other extra features. This Windows-only video editor is straightforward and packed with useful features. 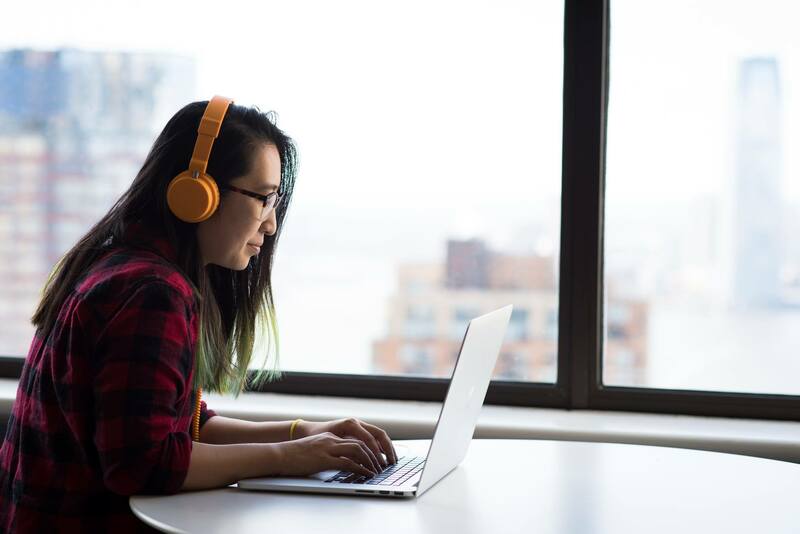 Windows users can take advantage of the free features such as audio editing, and preconfigured profiles mean that it’s easy to use across a range of multimedia. You can pay to upgrade to the pro version – and unless you do this, you won’t be able to access any technical support. Because of this, it’s probably not best for rookie editors looking for a free suite – which is a shame, as it’s pretty easy to learn. DaVinci Resolve is a free video editing tool with a great range of professional features. It’s a good choice for collaborative work, or if you have a more complex project that needs advanced colour correction. It’s not the obvious choice for simple or beginner videos; but having said that, the interface is really nice to use. It’s mainly free, but you may need to pay for some of the tutorials. If you’re an Apple user and want to be able edit on your iPhone or iPad, this is the one for you. It’s also great if you’re new to the world of video editing but accustomed to the world of Apple, as it really is super-intuitive for Mac users. It’s not the most sophisticated free video editing online tool out there, but with features such as 4K support and audio editing, don’t dismiss it. If you’re new to video, this free editing tool for Windows is a great starting place. It’s good for exporting your films directly to social media, and features include 3D editing and a library of sound effects. It also has a camera shake reduction tool. More experienced video editors may get a bit bored with its simplicity, but if you’re just starting out, VideoPad is an excellent tool. iPhone or iPad user? In a hurry? Splice is the obvious solution. This free video editing app is much-loved among iPhone users because it’s so quick and simple to edit your films on the go. With practice, the end results are great, and it’s hard to believe that it’s not been edited at a desktop. Splice comes with an extensive library of free music and sound effects for extra fun. This iOS and Android app certainly lives up to its name. The automatic features of Quik are excellent for adding a professional gloss to your films. If you want speed, and are happy to hand over editorial control to the app, this is the best free editor for you. On the other hand, if you prefer to make all your own tweaks to your films, you may get into a battle for control. This video editing app for iOS and Android gives you the choice between automatic editing and “Freeform” mode. It’s compatible with Adobe’s Premiere pro; however, you can simply use it as an editing app for your phone if you prefer. It’s a simple app to use, and you can access Adobe’s Creative Cloud support. This iOS and Android app has a very specific function: it makes sure that you’ll never film a wonky horizon again. The app’s USP is its ability to right our filming wrongs, and you’ll have no more annoying vertically-filmed vids. You can also simply tilt your phone to zoom in and out, and it has an easy-to-use media library. Perfect for capturing a moment and worrying about it later. As the name suggests, this Windows-based tool will convert films between formats – over 500 of them, in fact. It’s also a great way to embed videos in websites. Freemake Video Converter is easy to use (93 million users says something), and it does the job quickly. It will even support 4K resolution. This one is so much fun. You can give your films a comic book style makeover, choose from a range of animated backgrounds, and add a soundtrack that adjusts to your film’s length. The Live Titles feature adds captions that are perfectly in sync, and you can share your work between your devices using iCloud. Perfect for livening up your Instagram feed. Boomerang is Instagram’s very own video editing app. It takes your photos and turns them into engaging little films, which you can then post directly from the app onto Instagram. Great if you want to share content easily and quickly, without having to do much yourself. It’s a bit of a one-trick pony – but the trick it does do, it does really well. Want to create a sophisticated social media video but don’t have the time? Magisto is a popular AI app that will take the job away from you, then hand you a perfectly packaged, Insta-ready film. You choose the story angle, then the smart video editor uses your photos, videos and music to create a professional-looking film. Not the one for you if you’re a control freak – but if you want maximum impact for minimum effort on your social feeds, this. FilmoraGo can seem a bit basic compared with some of the free video editing apps; however, it’s actually a great option if you like to customise your films yourself. You can add themes, text, music and titles, and if you enjoy the app, you can pay for the desktop version (which is really good). Anchor Video Maker is an app for iOS and Android that transcribes your audio files into social media-shareable videos. It’s a nifty tool that can make all the difference to a film – but please, remember to check and proofread before you publish. The app will make adjustments for your corrections to ensure that words and audio still line up. Deciding which free video editor to use should be easier now you've been through our list of suggested options. It all comes down to how advanced you want to get, which features you'll need and what platform you're working on.